Firstly, congratulations on your purchase of a brand new Joshua Seigal kit. Follow these simple instructions and you will end up with your very own silly poet. Get a head, some arms, some legs, some hands and some feet, and arrange them into the shape of a person. Don’t forget to put some clothes on it – you wouldn’t want to make people sick, would you? Top it off with some eyes, a nose and a mouth, and some short black hair. Beard is optional, but glasses are definitely necessary. Now it is time to start filling the brain up. Start with some memories. As well as memories, you will need also to fill up the brain with some imagination. The best place to look for imagination is down the back of the sofa. Crawl on all fours behind your sofa, and gather a big pile of imagination. It should be there among the bits of fluff. Dump it into the brain of your Joshua. Lots of bits will probably fall onto the floor – don’t worry about this, just leave them there. Once you have gathered a big pile of bad stuff, sprinkle it over your Joshua. Don’t worry if you can’t yet find all of these things. Try to find as many of them as you can, and sprinkle them over your Joshua. They might not all be absorbed immediately, but they should gradually seep in over the coming years. Congratulations! 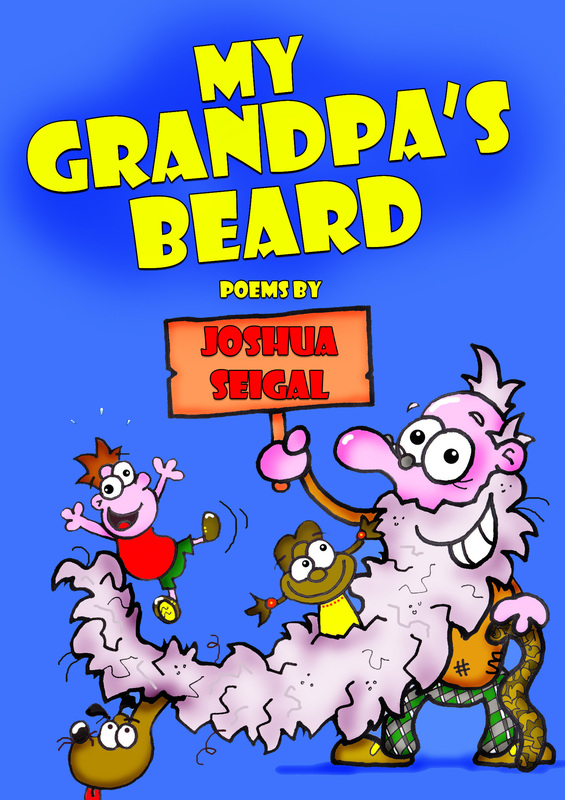 You now have your very own Joshua Seigal. Now it is time to let your Joshua run loose and wild and free. Watch him go into schools and perform poems during assembly! Marvel as he works with children to help them write their own poems! 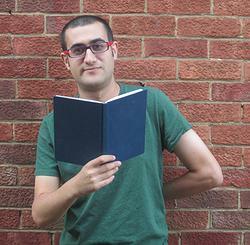 Gasp in astonishment as he publishes a book of poetry and performs at the Edinburgh Festival! Spontaneously combust with admiration as he makes himself a website www.joshuaseigal.co.uk with his own bare hands! Heave with horror as he eats a Malteser that has just fallen onto the kitchen floor! are you, ewe, yew and U.